When it comes to WordPress themes, there is no shortage of beautiful and responsive business and corporate themes that you can use to present the story about your company, highlight your services or products, and establish your brand. 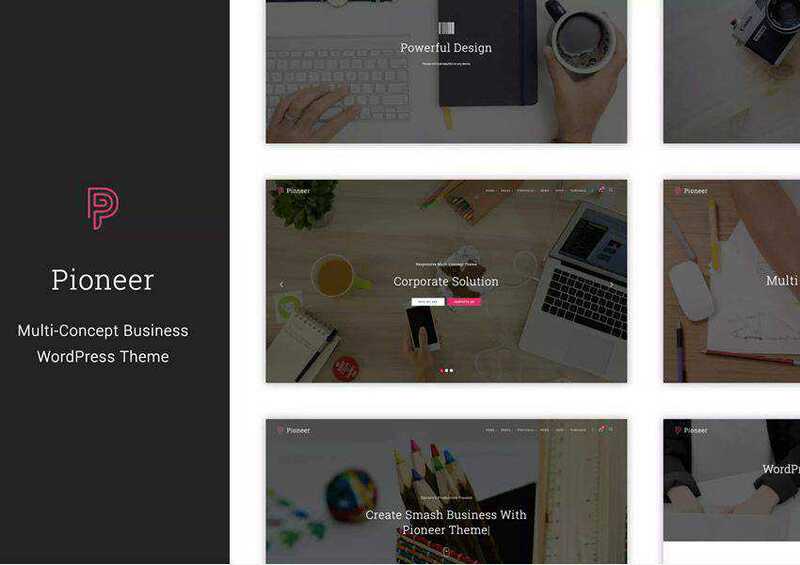 The best part is that you can find a gorgeous business and corporate WordPress theme for free which means you don’t have to spend any money on it if you’re on a budget. In today’s post, we’re sharing the best free corporate and business themes for your WordPress website. If you’re looking for free landing page WordPress themes, take a look at this collection. 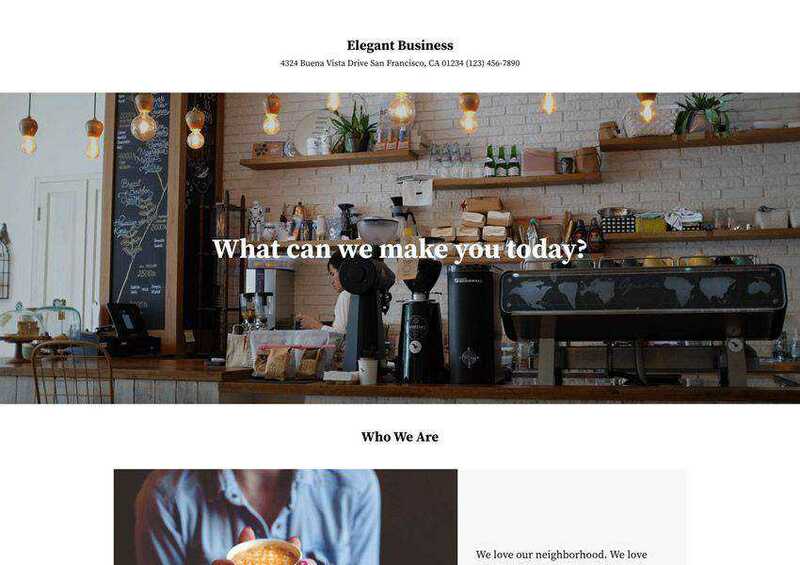 The Elegant Business Theme uses a beautiful grid layout for the different sections on the homepage. The sections have plenty of space to share a brief blurb about your company, highlight services, and share your contact information. The theme can be customized with Live Customizer and is fully responsive. The Meridian One is a one-page business and corporate theme that’s easy to customize with the built-in Live Customizer. The theme comes with 11 premade homepage sections, it’s fully compatible with WooCommerce, and it was optimized to load fast. The Morello theme is yours for free when you sign up for a monthly subscription to Envato Elements. 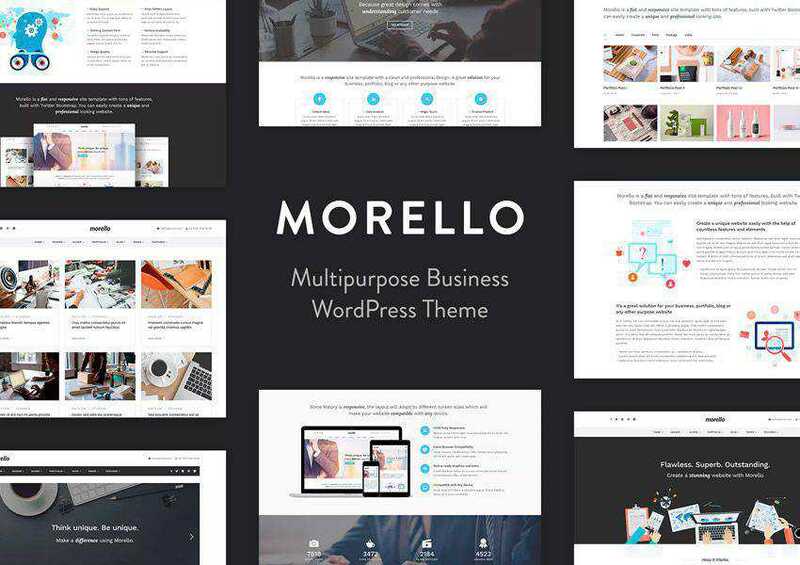 Envato Elements offers thousands of WordPress themes like Morello so if you change themes frequently, it’s a no brainer. Speaking of Morello, the theme is fully responsive and can be used for multiple business industries. It features a gorgeous gallery, a powerful drag and drop page builder, and a unique tile blog. 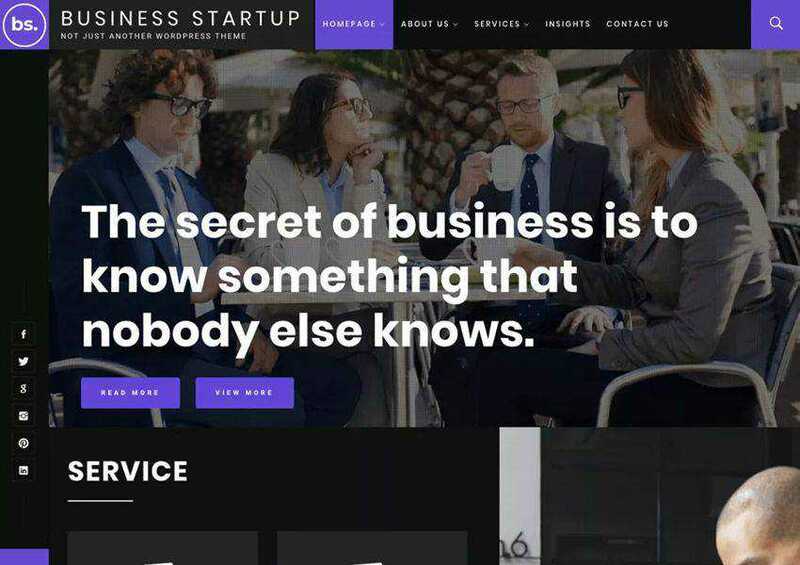 As the name suggests the Business Startup theme is a great choice for startups but it can also be used by freelancers and creative agencies. 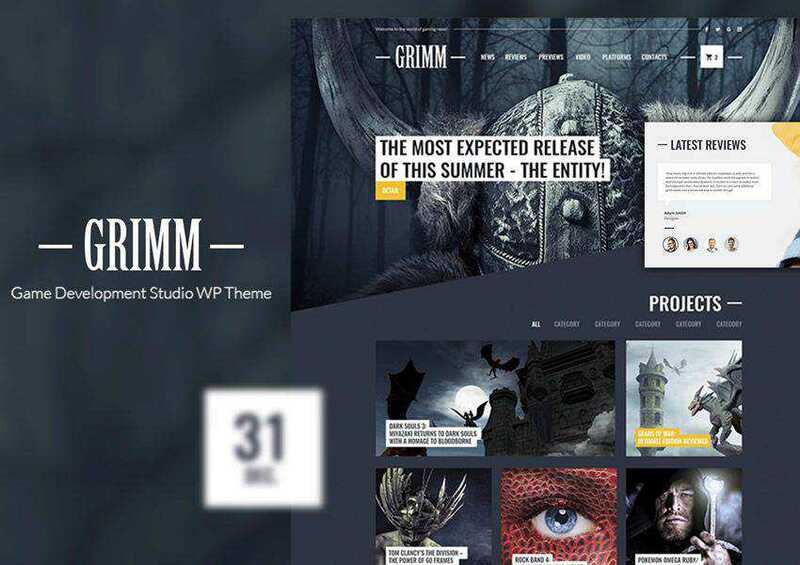 The theme features a dark and a light mode and uses WordPress Live Customizer and Elementor Page Builder so you’ll have no problems modifying the page layouts or the styles. 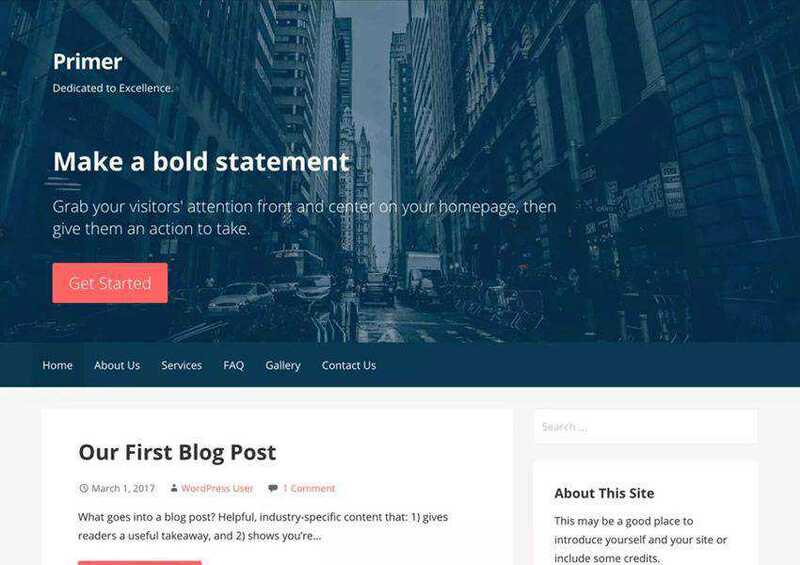 The Illdy theme is another one-page WordPress theme designed with business websites in mind. The theme features a responsive and flat design and offers plenty of sections to showcase your services, company history, contact information, testimonials, and more. The ClubHair theme is a perfect choice if you want a unique and creative theme. The theme is responsive and integrates perfectly with WooCommerce. It also includes features such as pricing tables, skills counter, and more. 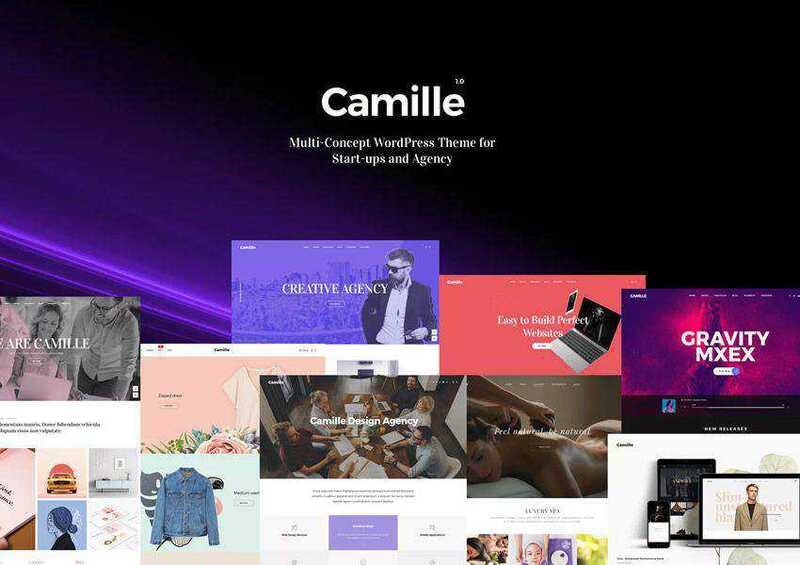 The Camille theme has more than 20 unique demos so you can pick and choose the one that’s perfect for your business. On top of that, you will also find features such as multiple blog and portfolio layout combinations, one-click demo install, responsive design, mega menus, and more. The Primer is a perfect choice if you’re looking for a theme for your business blog. The theme is fully responsive and easy to customize and you can even use it as a starting point for a child theme design. 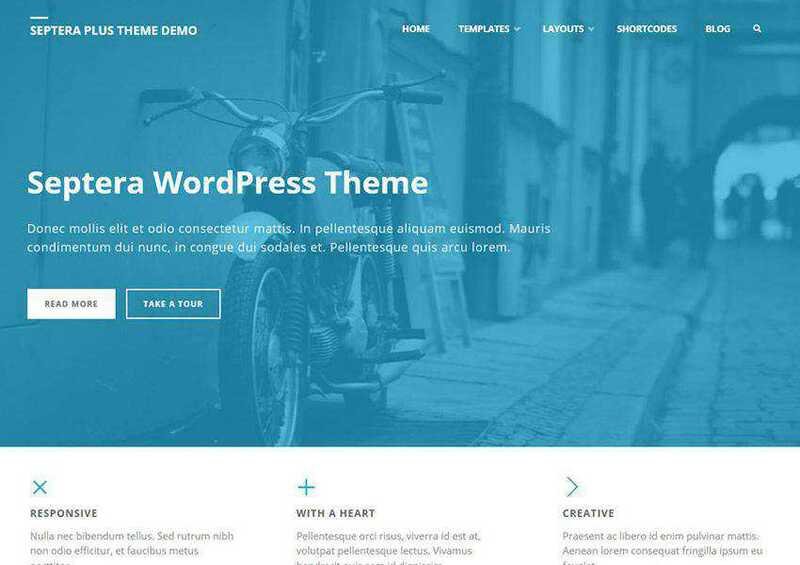 The Septera theme is a multipurpose theme that has been optimized for search engines and it’s also translation-ready, making this theme a great choice for multilingual sites. The theme integrates with WooCommerce and includes more than 100 options to customize and style your site. 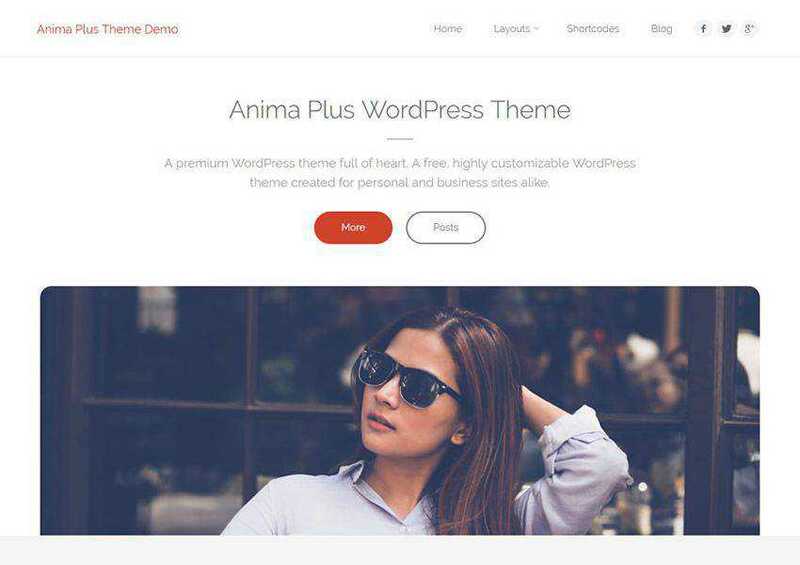 The Anima theme comes with an impressive number of customization options and includes both wide and boxed layouts. The theme also supports a variety of popular plugins including WooCommerce, WPML, qTranslate, Polylang, and more. 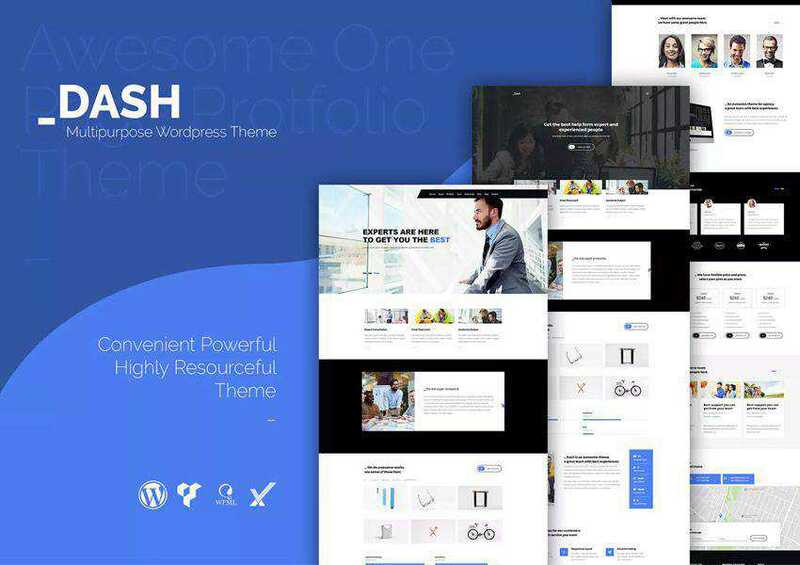 Try the Dash theme if you’re looking for a modern and professional design. 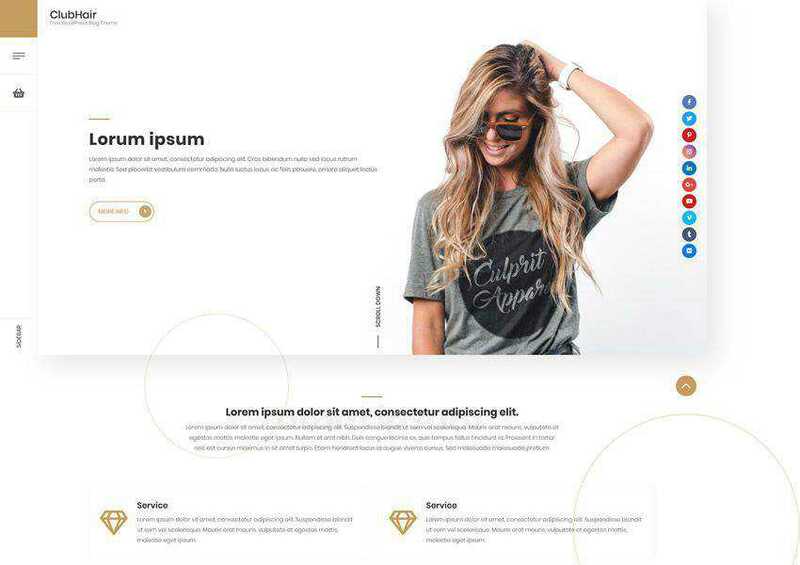 The theme includes 4 individual homepage styles and includes Visual Composer page builder so you can easily create your own unique page layouts. 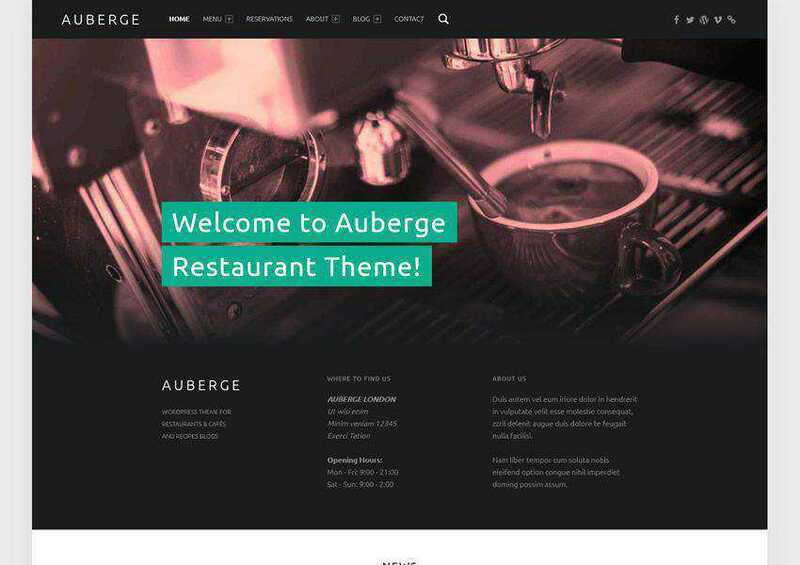 Consider the Auberge theme if you’re running a restaurant. The theme offers beautiful full width image areas and stunning galleries which are perfect for showcasing your dishes. The theme also includes easy to use menus so you can show visitors what your restaurant has to offer. 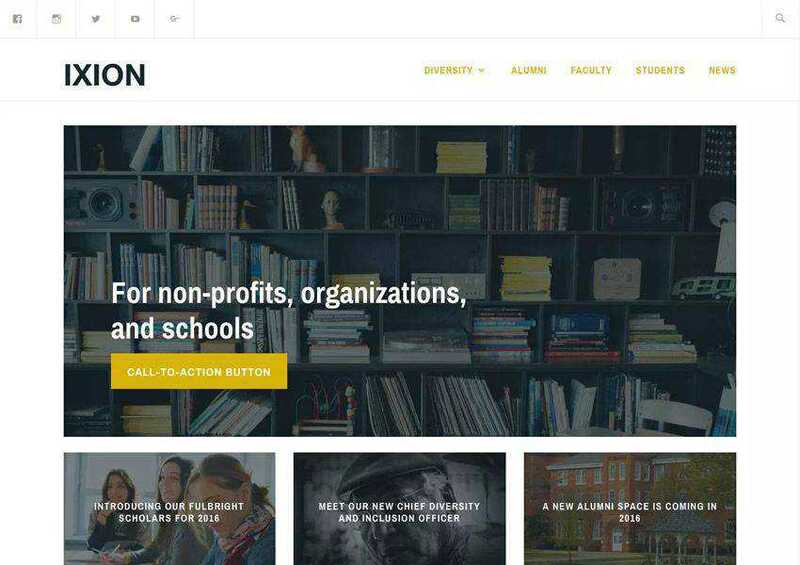 The Ixion theme is best suited for non-profit and charity organizations that want a modern and elegant design. The theme includes custom social media icons, the ability to create a unique static homepage, and a plethora of customization styles. The Game Studio is a great choice for game developers but it can also be used for any software development company website. The theme makes it easy to showcase your services, book appointments, and sell your games thanks to the integration with WooCommerce. 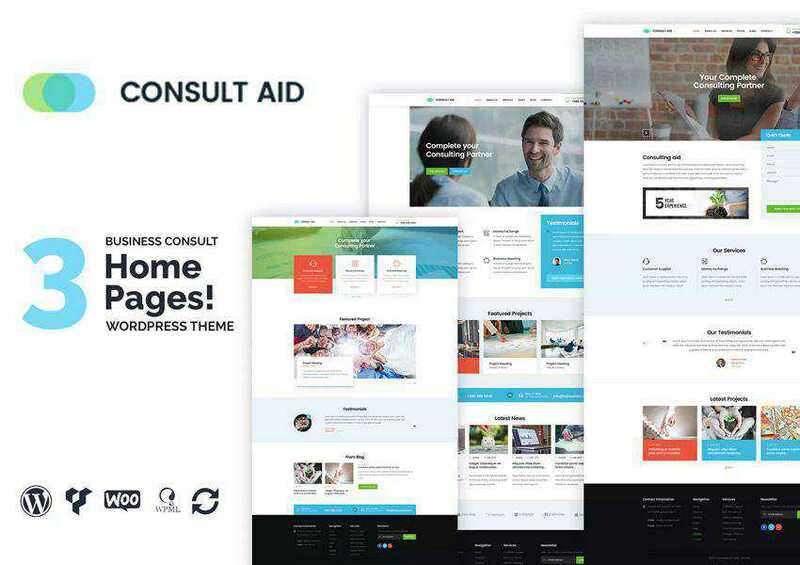 If you run a consulting business or agency, give the Consult Aid theme a try. You’ll find 3 different homepages, the ability to install demo content with a single click, and a powerful theme options panel that gives you complete control over your website. 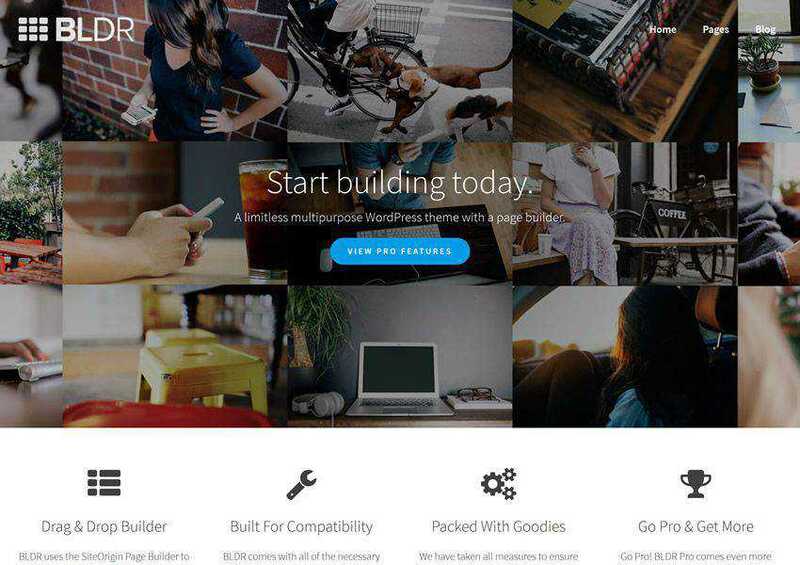 The BLDR theme includes a drag and drop page builder and a clean design. 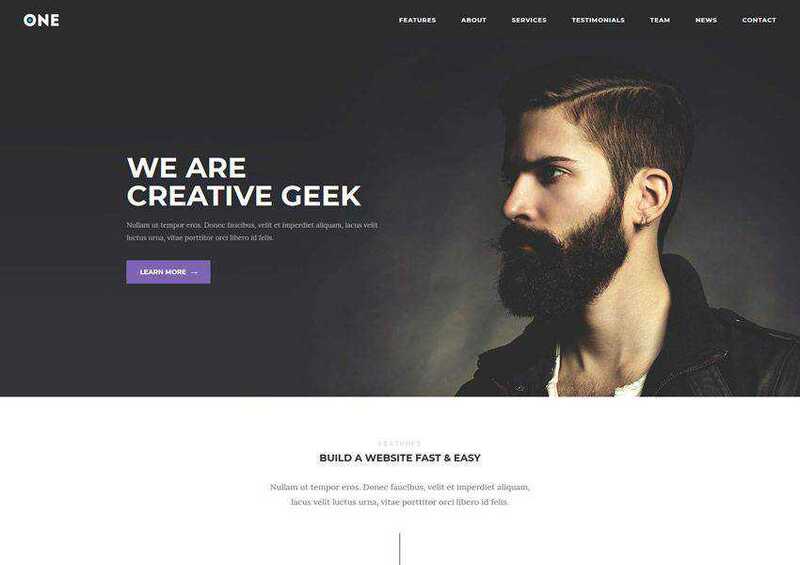 The theme comes with support for Google Fonts and was optimized for SEO. It’s also fully responsive. 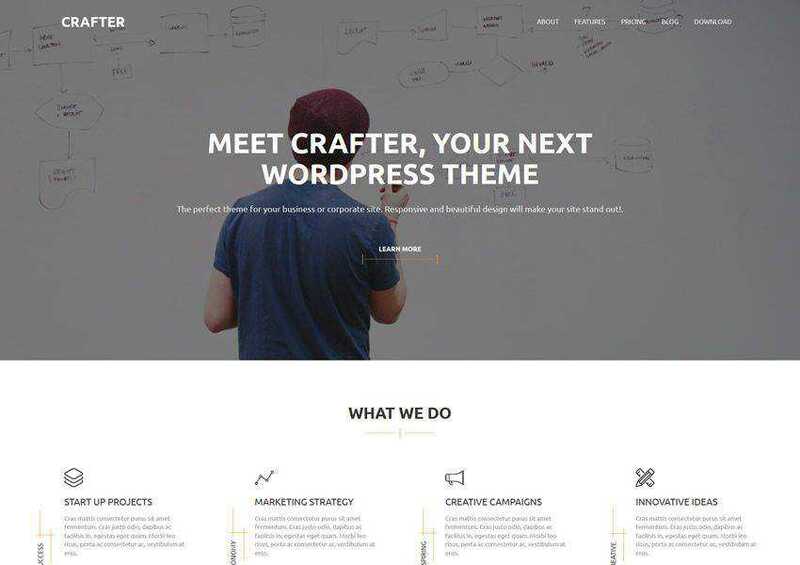 The Crafter theme features beautiful CSS animations which are sure to make your entire website stand out. The theme is fully responsive and includes detailed documentation that will help you get your site up and running in no time. 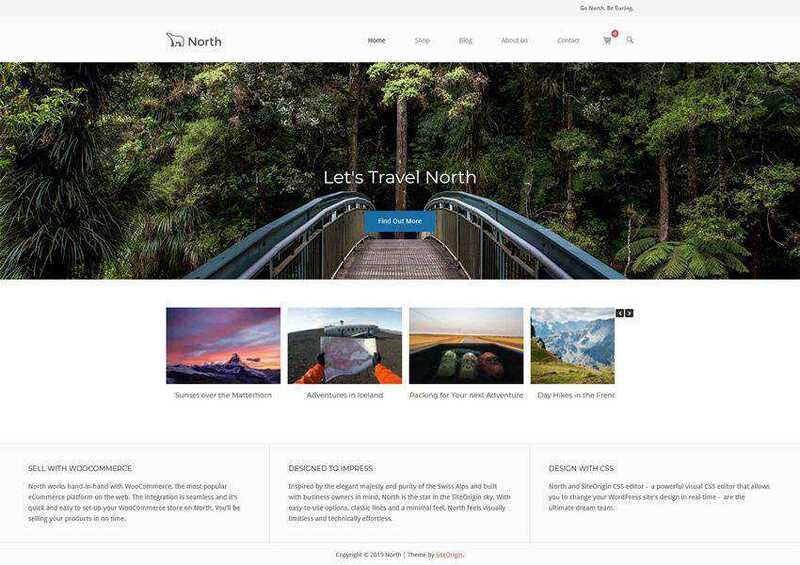 The North is a minimal business theme that’s perfect if you want to include an online shop on your site. Aside from the WooCommerce integration, the theme includes widgets such as slider, contact form, and more to help you present your business information. The Pioneer theme offers several different homepage layouts geared for different industries so you can easily choose the one that fits your business best. You will also find a filterable portfolio, WooCommerce integration, and SEO optimized code. The Make theme is a drag and drop builder theme that makes it easy to create custom layouts without having to learn the code. The theme is fully responsive and offers a number of premade layouts and widgets to help you build your site. A proper business and corporate theme can take your website to the next level and help you establish your brand, build trust, and results in more clients and sales. The good news is that you don’t have to spend a ton of money to get a quality theme. 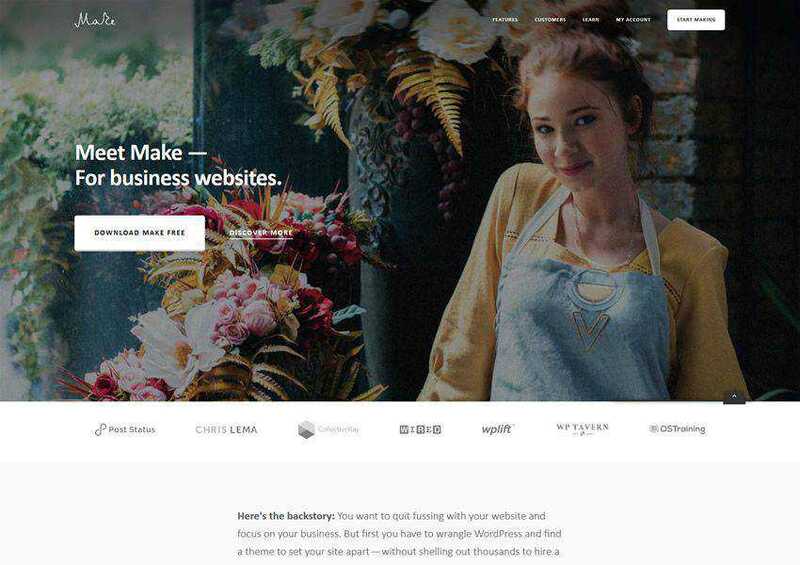 As you can see, there are plenty of free business WordPress themes so be sure to check out the themes in this collection and download them for your website.